The concept of "green" facilities is not new. In fact, the U.S. Green Building Council reports that there are more than 30,000 Leadership in Energy and Environmental Design (LEED) projects in the United States and another 6,657 LEED-certified projects totaling more than 158 million square meters of space around the world. There is good reason for this interest in green buildings. They are far less resource-intensive and far more sustainable than traditional buildings. While traditional buildings in the United States account for almost 40 percent of carbon dioxide (CO2) emissions, LEED-certified buildings have 34 percent lower CO2 emissions, consume 25 percent less energy and use 11 percent less water. To achieve this level of green performance, it is not enough to design an environmentally friendly building. You must make certain that the building continues to operate efficiently throughout its life cycle. This takes careful planning as well as operational and maintenance adjustments. The new LEED v4.1 standard takes operations and maintenance into account. It incorporates performance reporting, so teams can track building performance against targets set during the design phase and improve performance throughout the building's lifetime. Beyond LEED v4.1 requirements, it is important to understand that simple operational changes can bring about great green rewards. Here are five ways facilities managers can ensure that their buildings are running clean and green. Everyone responsible for monitoring and maintaining building systems needs to understand sustainability principles and methods or they will never be fully implemented. Consider having a certified energy manager (CEM) on staff to monitor systems, energy costs and conservation initiatives. A CEM can help you optimize the energy performance of your facility. If you do not already have an energy program in place or need to educate your staff, check out the Environmental Protection Agency's Energy Star for Existing Buildings program. Established benchmarks from a variety of sources show that you can reduce energy consumption by up to 20 percent with careful monitoring of asset performance using management software. With a sophisticated asset management system, you can track water, air, gas, electrical and steam consumption of your equipment in real time to understand the true cost of operating and maintaining it. You can also benchmark the performance of a specific asset to determine the cost of maintaining it at its current energy usage levels versus replacing it with a more efficient model. Don't wait for a piece of equipment to break down before performing maintenance. Regular inspections, lubrication and replacement of parts will keep equipment running at peak efficiency. When you track reliability trends, risk factors and energy usage over time, you can stay ahead of problems, identify assets that are energy hogs and figure out ways to reduce energy consumption. Asset management software with predictive maintenance capabilities can be useful in automating the process and keeping you on schedule. When it comes to green, sustainable facilities, today it's all about smart buildings — buildings that deliver useful services to help make their occupants more productive and safe at the lowest cost and with the least environmental impact. A smart building optimizes and minimizes energy usage and can operate using clean energy sources. It makes occupant security and quality of life top priorities. This means not just physical security, such as connected fire-suppression and alarm systems, but also health security (high-quality air, water, etc.). 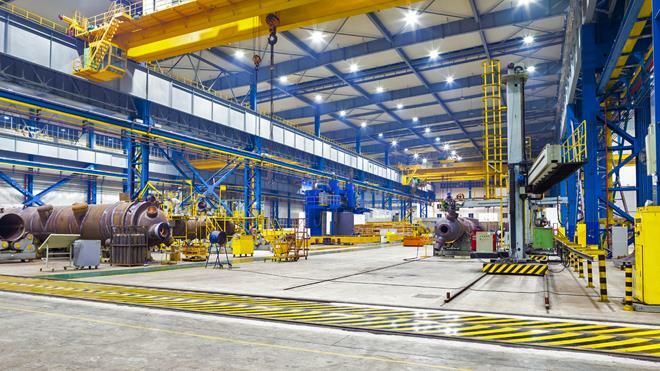 To take advantage of this opportunity, the equipment and systems in your building must be connected and able to communicate machine to machine. For example, your chiller could receive weather data from outside and occupancy information from inside, so it operates only when needed to maintain the optimal temperature for its occupants. This means investing in sensors, internet of things (IoT) technology and software to connect it all. Finally, be sure that the products and materials you use in your building are environmentally friendly. Choose cleaning products and supplies that are biodegradable and as safe as possible for good indoor air quality and reduced water pollution. Consider products that meet the EPA's Safer Choice standard. Likewise, when purchasing paint, carpet and other interior finishes, look for those with a Greenguard certification to reduce the release of volatile organic compounds (VOCs) into the air. While green facilities are not new, many companies overlook simple measures that can be taken to improve the sustainability of their buildings. By making certain that you and your staff understand sustainability principles and methods and follow best practices in maintenance, monitoring and usage, you can help ensure that your facilities live up to the promise of their green design.